Greendell Landscape SolutionsBlogProductsPlantsHydrangeas, Vines & More Perennials, Oh my! Hydrangeas, Vines & More Perennials, Oh my! We realize not everyone is able to be surrounded by their favorite plants and flowers all day, every day- we are the lucky ones here at Greendell! If you are looking for something to spruce up your home and garden or to try something new, a few of our favorites right now are sure to do the trick- and they are all 25% off this month! These unique and beautiful blooms are surprisingly easy to care for, and resistant to most pests and diseases. Most can be grown in full sun or partial shade. 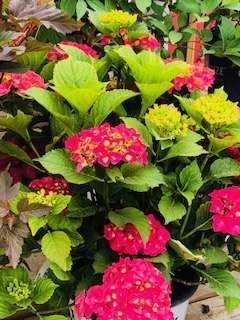 They are an excellent choice for group plantings, containers, or borders! Fun Fact: The majority of hydrangea varieties change color based on the pH level of the soil! Oakleaf (large white blooms) do not. Growing your own fruit in your backyard is a fun project and can greatly enhance your landscape. 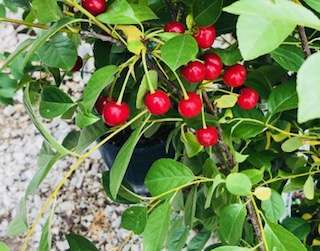 We have cherries, berries, and more! For a great resource to learn more about planting and caring for your own fruit, click here. Perennials grow in an array of colors, shapes, sizes, and bloom times but never disappoint! Once you let them take root in your garden, they will come back year after year, providing a great investment and foundation for your landscaping. Our variety of native perennials is extensive. Japanese Maples are an excellent addition to your home and garden. 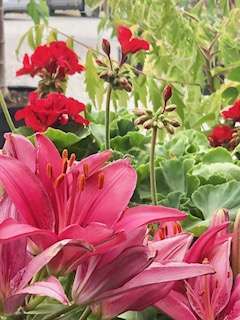 They offer their beauty year-round and can even be planted in large containers! 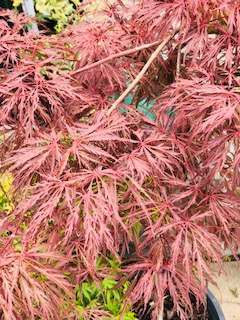 It is not difficult to keep your Japanese maple alive and well for a long time, but regular irrigation, application of quality compost (made by yours truly) and a location with partial shade are sure to help. 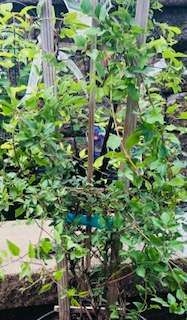 There are so many uses for vines around your home and garden from accenting a fence, trellis, or lamppost to blending your scenery or hiding an eyesore. The flowers of a blooming clematis add a pop of color in the midst of a versatile vine! Stop in and pick up some of our favorites today… they just might become yours, too! In the Garden with Greendell- Welcome!! !